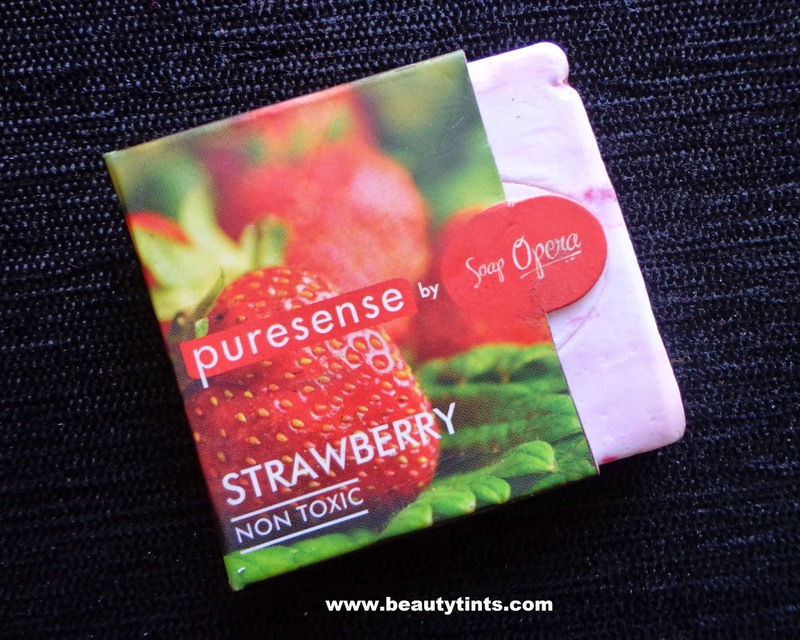 Today I am reviewing Pure Sense By Soap Opera Strawberry soap,which is the last variant from the set of soaps I received.You can check out the other variants here.It is from their fruity range of soaps. About The Brand : Puresense is a brand of premium personal care products. It is a brand by Soap Opera. Puresense has been created on the philosophy of living a life free of toxins. 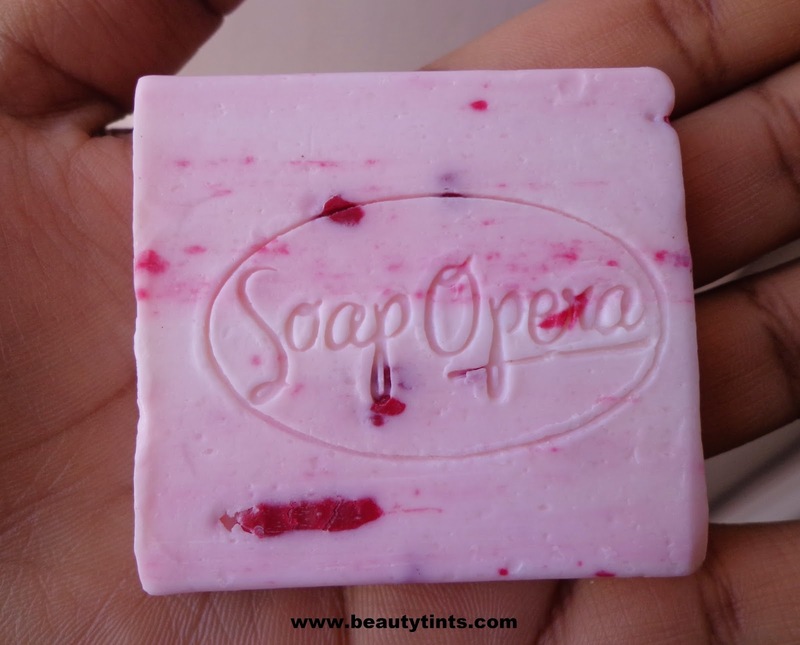 This range includes floral soaps, spice soaps, bodywashes, shampoos, bodymists & a sleep inducer.To know more about them Check out their Website and Facebook page here. 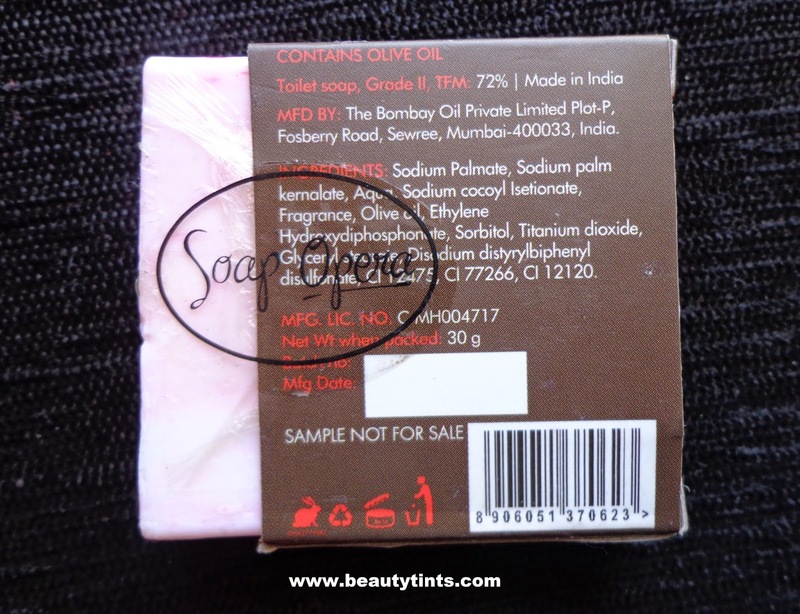 Packaging : It comes in a plastic film covering with a outer carton with all the details of the soap. 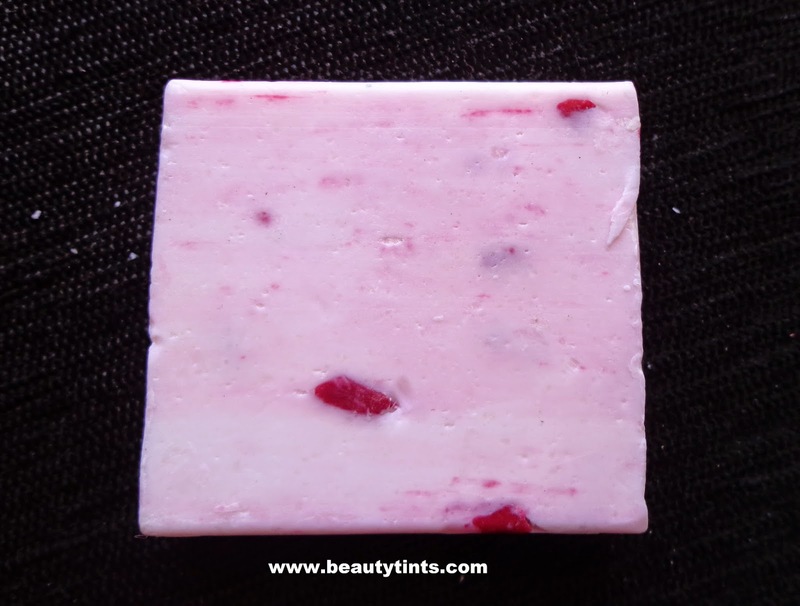 Color and Texture : This is a baby pink colored soap with dark pink colored chunks embedded in it. 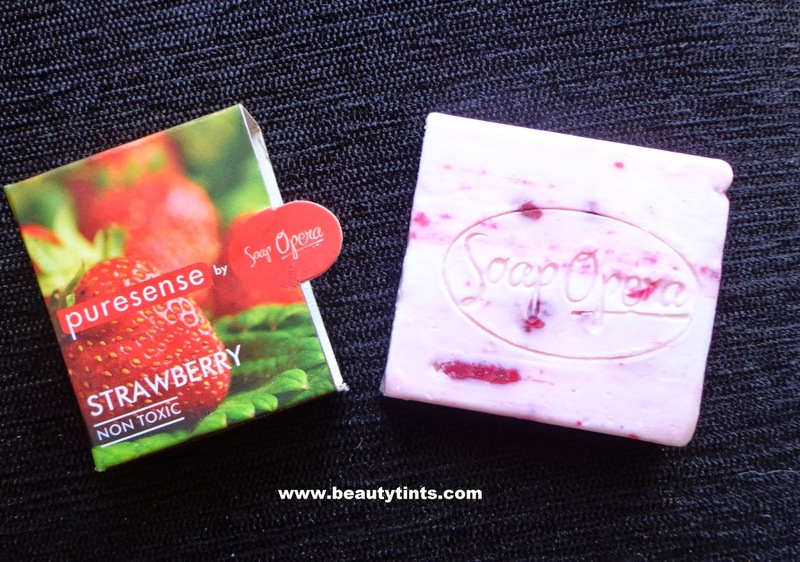 What the product Claims : Enriched with strawberry & olive oil, the soap bar is free of sulphates, parabens, formaldehydes and non-carcinogenic.Strawberry is known for its anti-ageing properties and with combination of olive oil gives you a smoother,better hydrated skin. Availability : Available in few online stores.You can buy it from here. Ingredients : Sodium Palmate,Sodium Palm Kernalate,Aqua,Sodium Cocoyl Isetionate,Fragrance,Olive Oil,Ethylene Hydroxy diphosphonate Sorbitol,Titanium dioxide,Glyceryl stearate,Disodium distyrylbiphenyl di sulfonate,CI 12475,CI 77266,CI 12120. My Views On the Product :This variant is the best in terms of hydrating when compared to other variants. 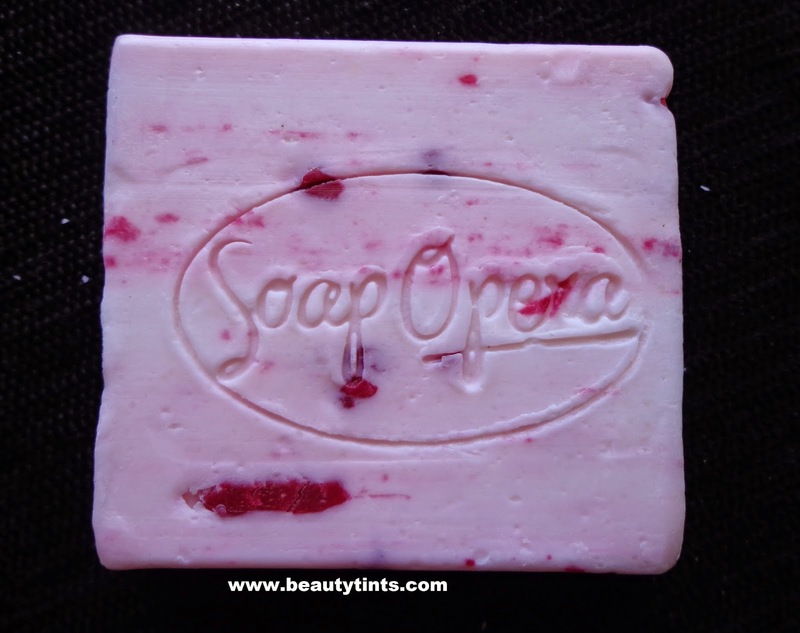 It is a 30 gm sample which lasts only for 1-2 weeks.It comes in a very classy packaging similar to the full sized product.The soap has the imprint of the Soap Opera name on it.This soap has the delicious strawberry scent which is very fruitilicious.I am loving it.It lathers well and cleanses the skin with out drying.The fragrance stays for only some time.The soap itself is very attractive with baby pink color.It does not melt easily and retains its shape till the end.It is paraben free and against animal testing.It costs only INR 85 for 100 gm which is very affordable when compared to other handmade soaps. 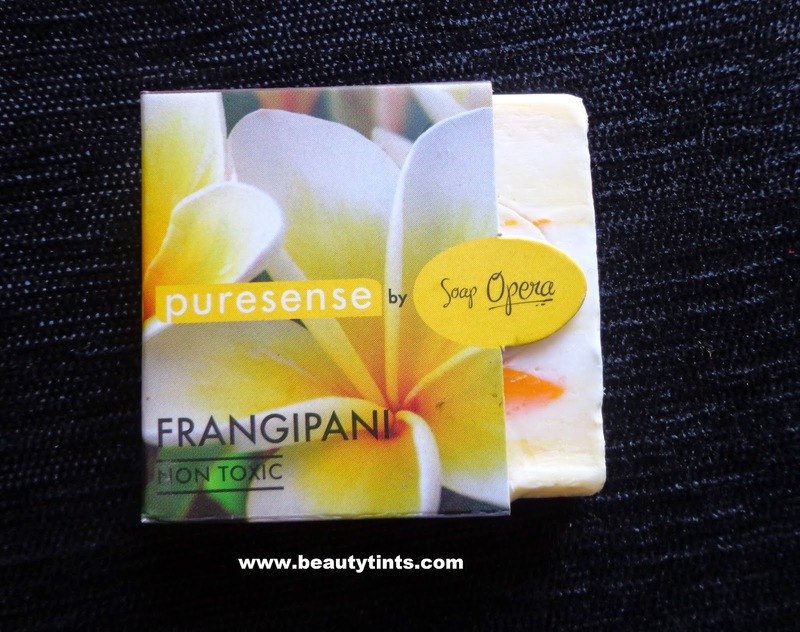 Also check out the Lemon grass, Frangipani , Spearmint,Madhumalti,Royal Apple Soap and Pure sense Sleep Inducer reviews here. 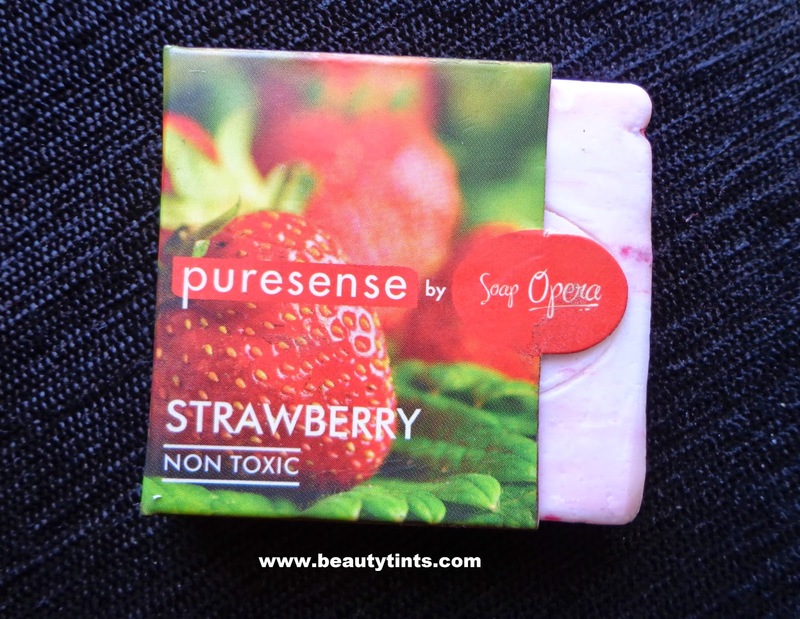 Final Conclusion about Pure Sense by Soap Opera Strawberry Soap :Those who love strawberry scent will enjoy using this.This baby pink colored soap is super attractive and colorful with the goodness of all natural ingredients. Have you participated in the Valentines day Giveaway Yet? If not participate here. Get A Better Car With Quikr NXT!!! Get The Best Flower Girl Dresses Ever!!! Fun Bed Time Rituals with Little one!!! Auravedic Ritual Skin Lightening Mask Review!